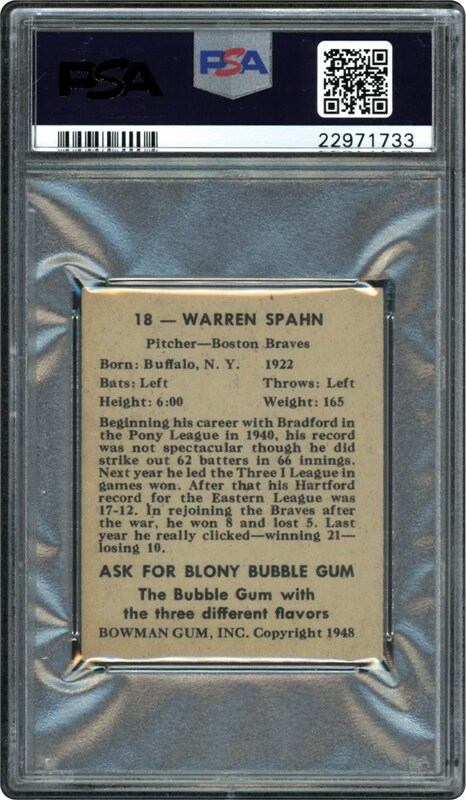 SPAHN ROOKIE!!! A more perfect profile of the great Warren Spahn surely has never been taken. 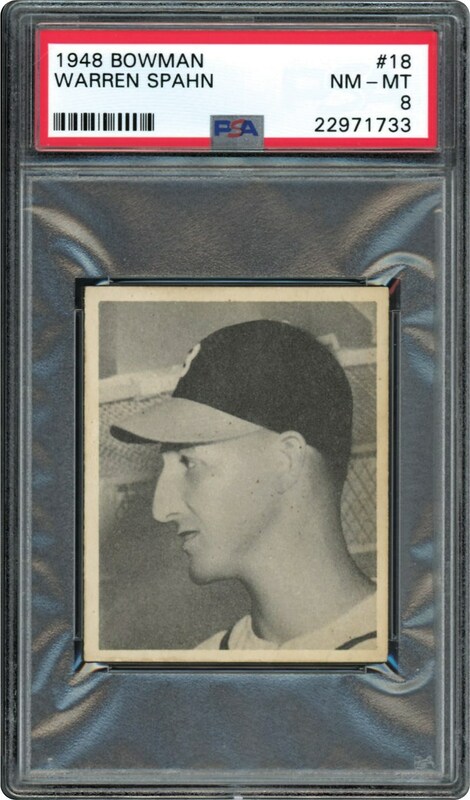 With nice centering and strong corners this pack fresh Rookie card is one to own. It's a nice one!